FUN!book 1 ABCs & 123sup to 50% off schools! Free Sample Booksup to 50% off for schools! Our free ESL worksheets called Picture Search are great for practicing counting using colorful scenes with various things. They’re a guaranteed hit in your class! Login or register to download free flashcards and worksheets. 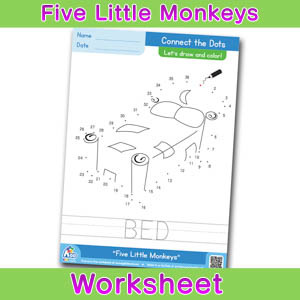 Get this free ESL worksheet to go along with the song Five Little Monkeys from BINGOBONGO Rock Vol. 1. 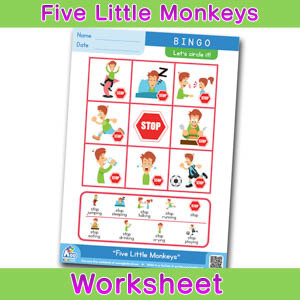 This is only one of the sheets in our series of sheets for Five Little Monkeys. 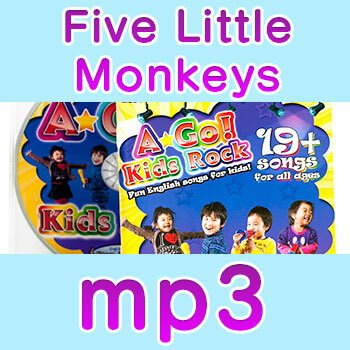 We have a big pack with all of our worksheets for this song available for purchase! Only registered users can download this free product. 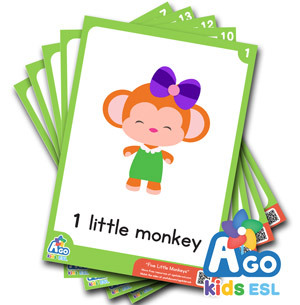 Don’t forget to get the songs and free flashcards for the ultimate English lessons!